Make a list of things you would take on a three-day trip with your family, then pack these items in a bag or suitcase. With an adult’s help, figure out the cost and miles to complete a trip to a place of interest using the family car or public transportation. Research at least five places to visit during a trip to a place of interest. Explain what you learned to your family. 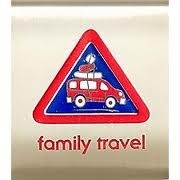 Go on a trip with your family that includes at least one overnight stay. Keep a journal of your trip and then share it with your den leader. Play a travel game while traveling in a car. 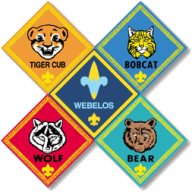 With an adult, review the Guide to Safe Scouting, chapter XII, "Transportation." Then make a list of safety rules to follow when traveling in the car or while using public transportation such as a bus, plane, boat, and train. Share the list with your den. With the help of a parent or adult partner, use a computer to look up an airfare from your closest airport to a city in a foreign country. Calculate the total travel time, the day and time you will leave your home, and the day and time you will arrive at your destination. Visit a travel agent office or look up a travel Web site. Using pictures, explain to a family member how people’s forms of transportation have changed in the last 300 years. Visit with an adult who has driven in a different country. List five things that the adult found to be very different from driving in the United States. Make a list of occupations that people have that are related to traveling. Describe the position you would like to try. Explain to a family member why you chose that occupation. Learn how to apply for a U.S. passport. With adult supervision, read an actual application and complete as much of the form as you can. Change $1,000 U.S. dollars into pounds, Euros, or pesos. With an adult, conduct a motor vehicle inspection of the car designated for traveling. Use the checklist provided in the Guide to Safe Scouting appendix, called "Annual Motor Vehicle Checklist." The appendix to the Guide can be found at scouting.org/scoutsource/HealthandSafety/GSS/gssax.aspx.